President Trump has selected independent-minded U.S. Army Lt. Gen. H.R. McMaster to replace National Security Advisor Mike Flynn who vacated the key White House post last week under a cloud. McMaster “is highly respected by everyone in the military, and we’re very honored to have him,” Trump said yesterday afternoon in Palm Beach, Fla. The president acknowledged Vice President Mike Pence played a role in the selection process. Retired Lt. Gen. Keith Kellogg, who had replaced Flynn on an interim basis, will become McMaster’s chief of staff, according to Trump. Former UN Ambassador John Bolton, who had been in the running to succeed Flynn, was reportedly asked to play an unspecified role in the Trump administration. 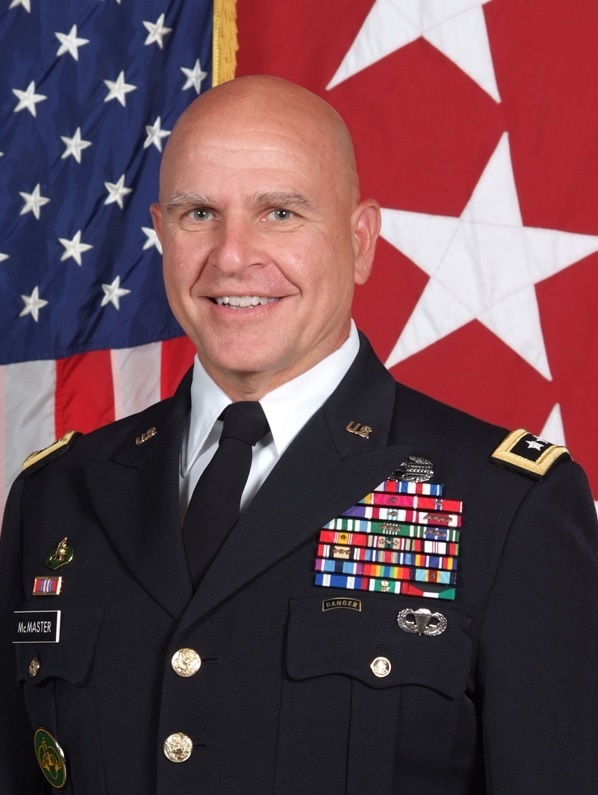 A career officer and strategist, McMaster holds a doctoral degree in American history and is considered to be a serious intellectual and strategist. He lacks Flynn’s background in the intelligence community but commanded forces in both Iraq wars. Surprisingly, the Los Angeles Times, a fairly reliable barometer of current left-wing thinking, failed to experience a grand mal seizure while reporting on McMaster yesterday, which may suggest the Left won’t spend a lot of time laying land mines for the new presidential appointee. The paper’s report didn’t go particularly hard on the general. Temperamentally, McMaster is far from the volatile Flynn, who had raised alarm in many quarters over his conspiratorial outlook, his hotly anti-Islamic worldview and his murky ties to Russia. Associates of the new security advisor, whose appointment will not require congressional confirmation, have described him as tough and detail-oriented, with a wide-ranging intellect grounded in hard-won realism. He also has no immediately apparent connections to Russia, notable amid increasing calls in Washington for a congressional investigation into possible ties between Moscow and Trump’s associates. In a 2014 interview, McMaster shared his thoughts on leadership. That feedback has to be based in analysis, he said. “So, if you offer it in a way that it is grounded in good analysis, and it’s respectful, and if you’re giving recommendations that are clearly aimed at advancing your mission, I think the Army and the military probably are very tolerant, even more tolerant than maybe other organizations,” he said. McMaster wrote the 1997 book, Dereliction of Duty: Lyndon Johnson, Robert McNamara, The Joint Chiefs of Staff, and the Lies that Led to Vietnam. The book grew out of his Ph.D dissertation at the University of North Carolina at Chapel Hill. Meanwhile, in Brussels on a trip to reassure NATO allies, Vice President Pence spoke out publicly for the first time on his interactions with Flynn in the days leading up to his ouster. “I was disappointed to learn that the facts that had been conveyed to me by Gen. Flynn were inaccurate,” Pence said, without indicating if he thought he had been left out of the loop. Other White House staffers reportedly knew weeks before Pence that Flynn’s description of his conversations with Sergey Kislyak, Russia’s ambassador to the U.S., were inconsistent with reported intelligence intercepts. Flynn, an anti-Islamofascist hardliner, was forced out of his critically important advisory role Feb. 13 apparently by a deep state cabal centered around former Obama advisor Ben Rhodes and endorsed by the increasingly unbalanced fair-weather conservative Bill Kristol. U.S. intelligence operatives appear to have spied on Flynn illegally. A retired lieutenant general in the U.S. Army, Flynn fell on his sword for making contact with Kislyak and then lying to Pence about it, according to the White House. It’s not as if we know what actually happened with Flynn and the Russian or Russians at this point, or if there was any contact at all. News reports have not quoted any on-the-record sources so it is entirely possible the allegations against Flynn were conjured out of thin air. The Left’s outrage machine has been in overdrive. Commie mockumentary director Michael Moore called Trump a “Russian traitor” and demanded his arrest. Chuck Todd of NBC said the Flynn saga is part of “arguably the biggest presidential scandal involving a foreign government since Iran-Contra.” Calls for President Trump’s impeachment, removal from office by the Senate or by military coup, and assassination are growing on the Left as it comes to grips with the fact that the Chief Executive is deadly serious about protecting America and rolling back President Obama’s poisonous legacy. 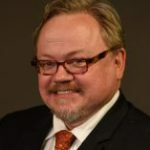 PJMedia’s Michael Walsh calls what’s happening in the country right now “a rolling coup attempt” and he’s right. Make no mistake about what’s happening here: this is a rolling coup attempt, organized by elements of the intelligence community, particularly CIA and NSA, abetted by Obama-era holdovers in the understaffed Justice Department (Sally Yates, take a bow) and the lickspittles of the leftist media, all of whom have signed on with the “Resistance” in order to overturn the results of the November election. But the naming of H.R. McMaster as the new National Security Advisor seems unlikely, at least at first glance, to provide the raging Left any new ammunition to use against President Trump. This article initially appeared at FrontPageMag.